A holistic therapy that has the WOW factor? That is certainly what I came across in a mind-blowing session with fellow therapist Jonathan Dudley. Jonathan and I practice at 58 South Molton Street Wellbeing Business Centre in London. Like me, Jonathan’s focus is on improving our clients’ emotional as well as physical health. Jonathan uses an impressive array of tools in his toolbox. This week, Jonathan tested me for intolerances using muscle testing (kinesiology). Brandishing one’s arm to be tested for resistance, or as was often the case, muscle weakness, was fun. Not that it was meant as an arm wrestling contest with Jonathan, but it was baffling to see my arm sometimes resolutely strong against pressure, whilst at other times my arm just gave in, simply depending on the substance that I was tested against. I experienced kinesiology in the past but new to me, was the use of semantics to clarify which part of a substance I was intolerant to. For example, when it came to tomato, was it the whole tomato, the flesh or the skin? Through the logic of word combinations, Jonathan was able to identify where the sensitivity exactly lied. Jonathan excels in thinking on his feet, offering various meanings to test my body responses against. This not only ranged from food intolerances to parasites, but also addressed metal toxicity and radiation. High levels of toxins and radiations in your body can be a contributing factor to developing chronic exhaustive conditions, which I have a special interest in. This is of prime importance to fibromyalgia sufferers. As so many things seemingly go wrong in our bodies, understanding what happens in the body is the first step to taking control of our health. 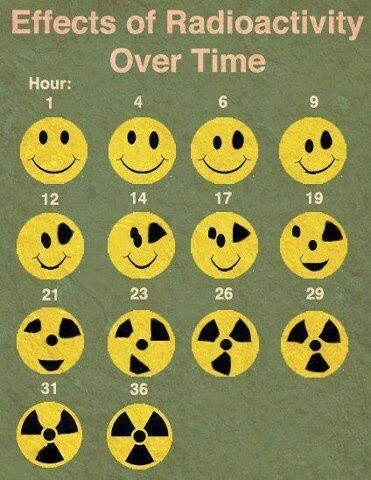 With radioactivity, there is often a behavioural pattern that also needs to be broken in order to get better. I work online until late on my laptop, and take my mobile phone to bed. So no surprise there, I stored a lot of radioactivity. Jonathan was able to identify where the negative effects of radioactivity mainly lodged: in my liver and central nervous system. It can prove challenging to change a habit. An integrated approach to treatments is fundamental to tackling such health issues. Where Jonathan shines, is in helping remove the negative effects from your body over a session, as well as reprogramming your brain to handle such substances - or emotions, going forward. Jonathan applies Neuro Emotional Technique (NET) and Neurological Integration System (NIS) to achieve this. The negative impacts of radioactivity are widespread. If you spend a lot of time on your computer or on your mobile phone, if your GP cannot find anything wrong with you and yet you do not feel 100%, a treatment with Jonathan is an absolute must! Ariana is a Massage therapist and Wellbeing Coach. She helps her clients de-stress. She can support clients with the changes that they want to make in their lives, to improve performance and wellbeing. NET and NIS are also key in removing such interferences and Ariana is excited about the instant results brought by Jonathan’s pragmatic approach to holistic health.